Despite the triumphal ascendancy of South Africa’s quality wine offering, it is still the sweet wines of Constantia for which the country is best known in serious global circles, the kind where things vinous count. We can tweet, back-slap, comment, praise, #hashtag, selfie and gush for all we like, but if South Africa had to enter an international showdown with one wine showing provenance, legacy and brilliant individuality it would be a Vin de Constance from Klein Constantia or Groot Constantia’s Grand Constance. 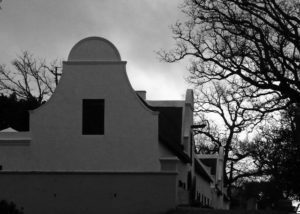 True, the historical footprint of Constantia helps keep the wines shrouded in an enigmatic veil of intriguing culture and antiquity. But I am getting a bit tired of the relentless references to Napoleon drinking the stuff and Jane Austen writing about it – one of these days someone is going to provide proof of The Last Supper having ended with a plate of dates, a mound of sheep-milk cheese and a draught of sweet Constance. The fact of the matter is that both Klein and Groot Constantia have done sterling work in not only recreating a part of vital Cape wine history, but in the process making a style of wine capable of standing alongside the world’s great sweets. D’Yquem and Tokaij included. 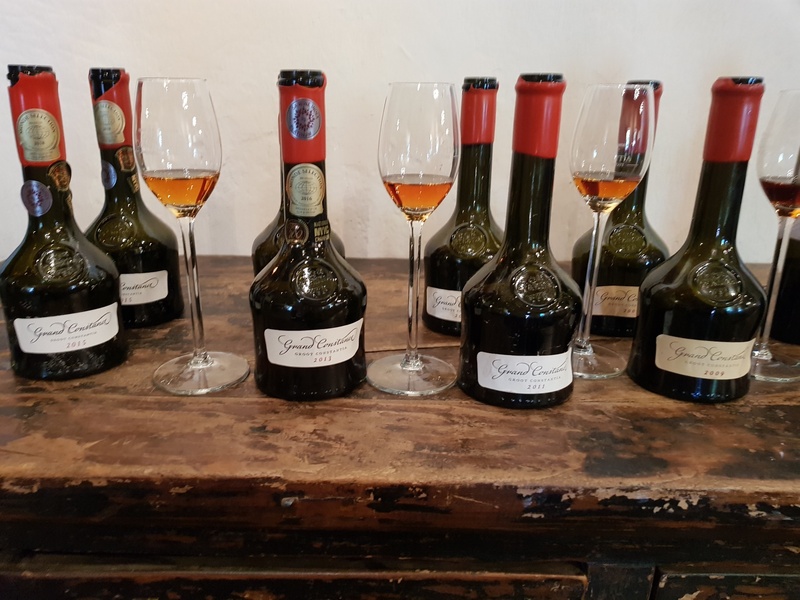 I have commented on the Vin de Constance before, my sentiments regarding Constantia’s eminence being reaffirmed and furthered still by a recent vertical tasting of Groot Constantia’s Grand Constance offering. Despite the legend of Constantia being based on Grand Constance, the wine by that name went into a hiatus in the 19th and 20th centuries. 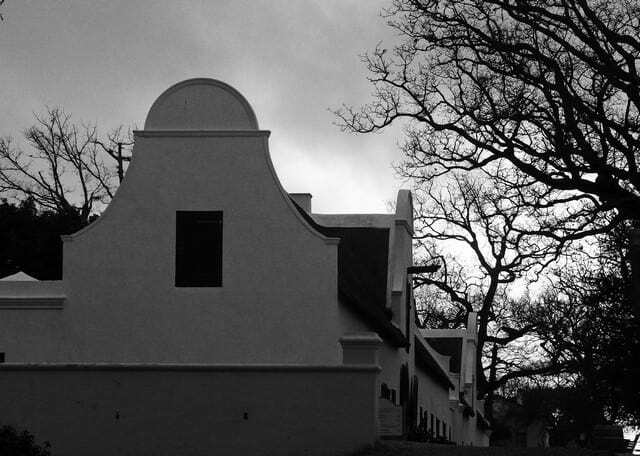 In 1983 Professor Chris Orffer, former head of Viticulture at the University of Stellenbosch, proposed to the board of Groot Constantia that a revival of the great old style of Constance wines be pursued, antique packaging and all. The board laughed it off, opening the door for Klein Constantia’s Duggie Jooste to take the baton and run with Orffer’s concept. The maiden Vin de Constance was released in 1986, and the rest is history – with that wine being a part of it, as it is today a superb drink, the imbibing of which could lead one to experience the same level of self-delusional past grandeur that made Napoleon drink a pint a day while in exile on St Helena. Groot Constantia did get onto the wagon with the revival of its own sweet, authenticity-driven Grand Constance in 2003. Today it is the estate’s flagship, like Vin de Constance packaged in an authentic bottle, the whole presentation complementing the historical pedigree to which the style of the contents remains true. 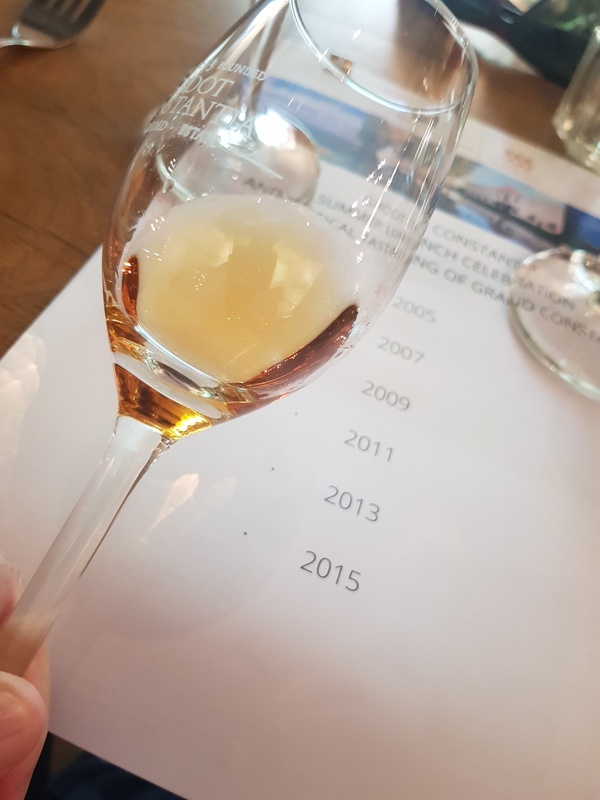 During the recent Grand Constance tasting, led by Groot Constantia cellarmaster Boela Gerber who has a dedication to this wine bordering on the obsessional, one had the opportunity to set all the colourful historical tales and theories and tales behind and just experience the pure excellence of what has been created on the foundations of history. For its Grand Constance, mainly white Muscat de Frontignan is used, with a smidgen of its red half-brother added for reasons that become evident once the tasting starts. It’s a messy make. Grapes are left to shrivel to withered, sugary morsels with harvesting only getting going in mid-April. Fermentation takes place on the skins after which pressing occurs, the wine going into barrel for 24 months. The result is a wine with a scary 180 g/l of residual sugar and an elevating total acidity of around six g/l. Tasting back to Grand Constance 2005 and ending at 2015, there is a discernible golden thread. This is a combination of dried fruit, most noticeably apricot and a confident slight tannic tug on the palate, the latter possibly the result of the swipe of red Muscat grapes – the old Constance of yore was boosted by the addition of a portion of skins from the Pontac variety, just to elevate the wine into the realm of adulterated confidence. 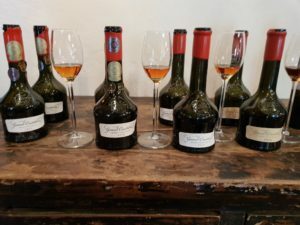 Although the wines differed immensely due to the various amounts of time spent in bottle, the combination of dessert wine decadence and perky briskness was felt throughout the line-up. The 2005 vintage of Grand Constance was noticeable in its deeper treacle colour, and after 13 years was beginning to quieten down, a smoky, roast coffee flavour somewhat replacing the primary orchard fruit. But there’s not the slightest hint of age on the wine, only the beginning of development into the very special and unique result that have made these the gems of undoubtable rarity they have become. Compare the 2015, and although extremely likeable, the summer fruit, glycerol mouth-feel and ballsy strut of confidence is evident and humorous, yet of vital importance in understanding the foundation on which the building blocks of future greatness are built. A line-up of Grand Constance is as much a joy as it is a privilege. But if one vintage stood-out, it was 2009. Perfection is the unattainable destination, but it is the way you attempt to get there that counts. And this kind of work fills one with admiration, respect and self-worth. The wine is beautiful. Tamarind and clove meet citrus peel and nutmeg on the nose. The attack on the palate is seductive, yet loud and showy in announcing itself as something it knows you are not going to taste anywhere else in the world. Lying on the palate like a levitating Rubens model, the wine intoxicates the mouth, the nose and other areas only extremely clever Ear, Nose and Throat specialists are privy to. Hot, just spread tar. Dried Turkish figs. Black Moroccan honey thrown by bees feeding on the pollen of marijuana plants. Sappy early summer apricots from nameless Greek islands, a run of soul-reviving citrus freshness causing your contact lenses to slide away from the pupils to reveal a vision of something new and dream-like. With another sip revealing that it is, in fact, all real. It is Constantia. It is still here. And as anyone who loves wine anywhere in the world should agree, thank God for that.